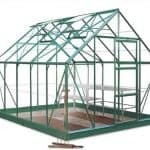 This is a brand new product and is an innovative greenhouse as it is designed with extra tall leaves, rather like a barn. It is made out of extruded resin which is hard wearing and durable and has natural insulation. The panels are polycarbonate and there is a roof vent. For security the door is lockable. 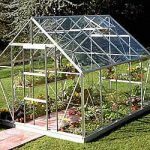 It is a great greenhouse for housing plants and seedlings, and works really well if your space is limited. This product is home delivered. 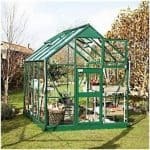 I would not say that I am very disappointed with this greenhouse, as everything is up to my expectation. 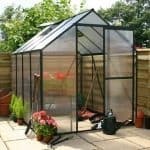 But this greenhouse definitely has some flaws. The roof vent is extremely tight and is very difficult to open. Its insulation property is alright, though it varies slightly, increasing or decreasing with the outside temperature. The doors, as mentioned in the brochure, had locks for security. But surprisingly, my greenhouse door lacked that. But it is not a necessity for me. 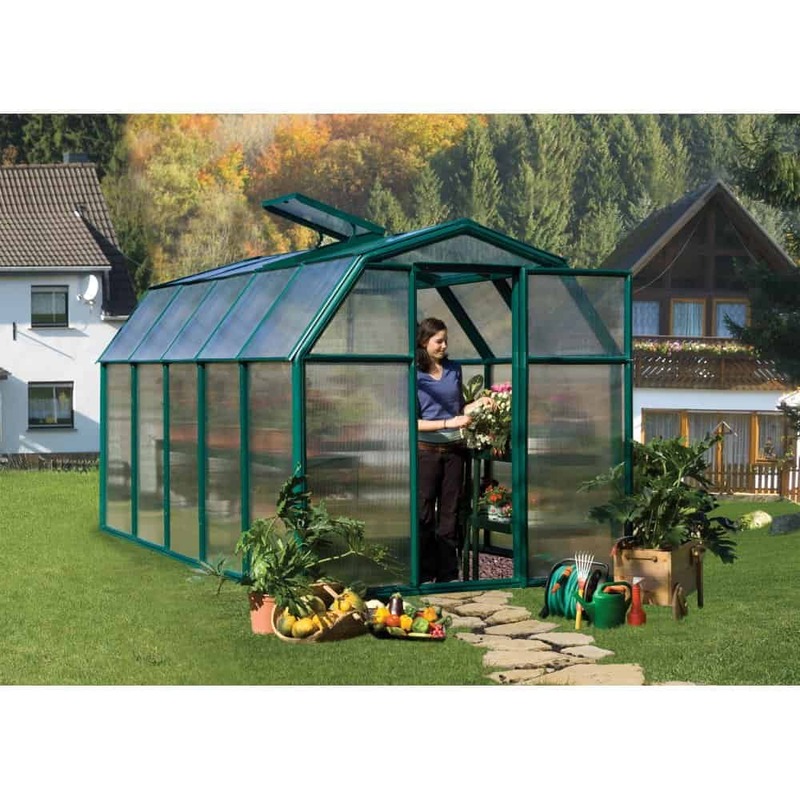 Also, assembling the greenhouse was slightly difficult for me, as the instructions were not so comprehensible. 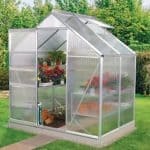 With all these flaws taken into consideration, this greenhouse should have a lower cost than the mentioned price.